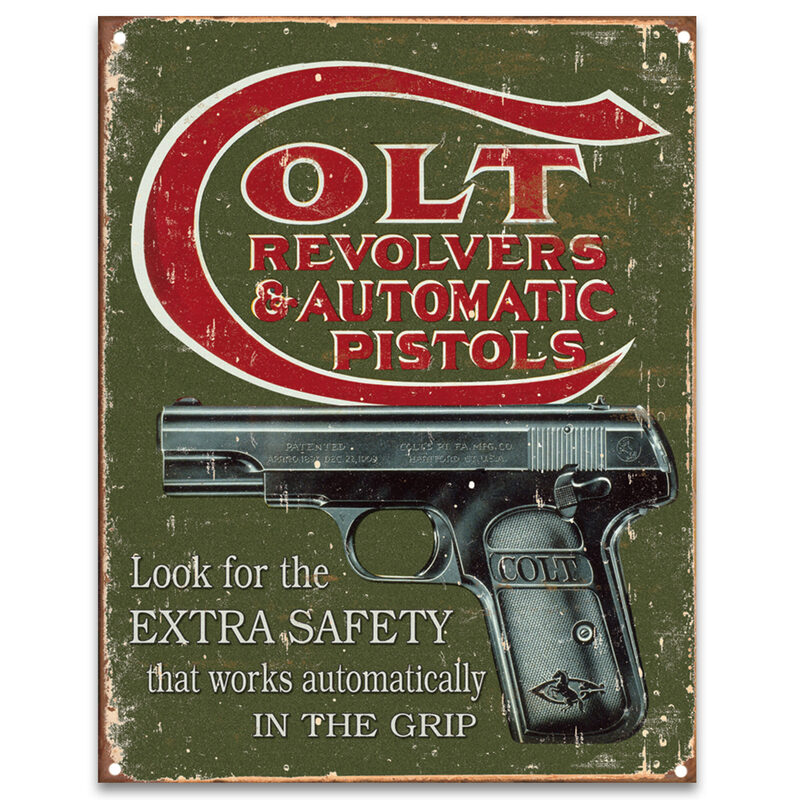 Colt Extra Safety Tin Sign - Vibrant Artwork, Corrosion Resistant, Fade Resistant, Rolled Edges, Mounting Holes | BUDK.com - Knives & Swords At The Lowest Prices! The vintage look of this tin sign and its homage to old-timey advertising makes it a great conversation piece so that it’s a great addition to your home, office or pub. The vivid artwork on the sign portrays a Colt Revolver advertisement that looks like it could have been posted on the wall of a gun store decades ago. Top-quality, corrosion resistant metal construction and advanced, fade resistant printing allows for posting this sign outdoors, too. It also features rolled edges and a pre-punched mounting hole in each of the corners.